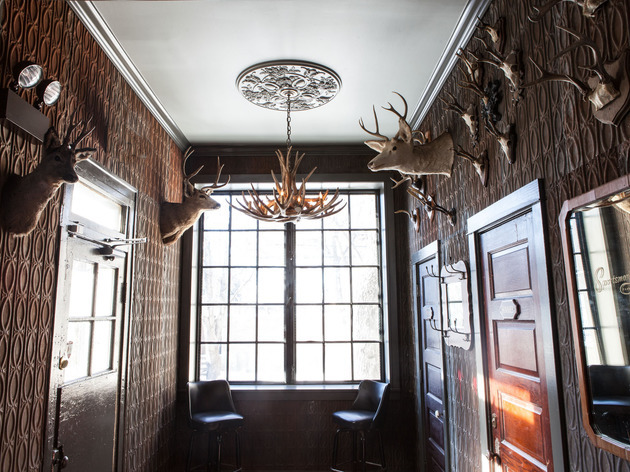 Photograph: Martha WilliamsSportsman's Club is now open in Humboldt Park. 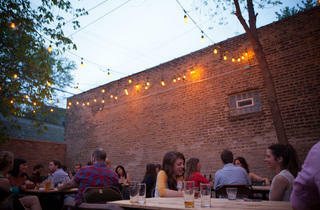 Photograph: Martha WilliamsSportsman's Club&nbsp;is serving cocktails, wine and beer in Humboldt Park. 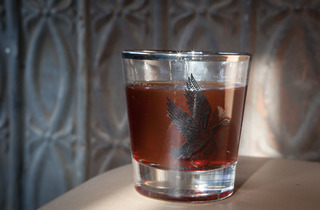 Photograph: Martha WilliamsA cocktail made with rye, Dolin Blanc and Benedictine is on the cocktail list at Sportsman's Club. 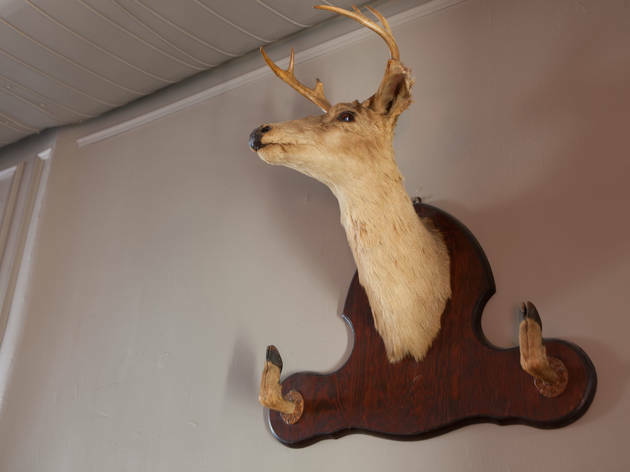 Photograph: Martha WilliamsSportsman's Club&nbsp;is from Heisler Hospitality and a pair of Barrelhouse Flat vets. 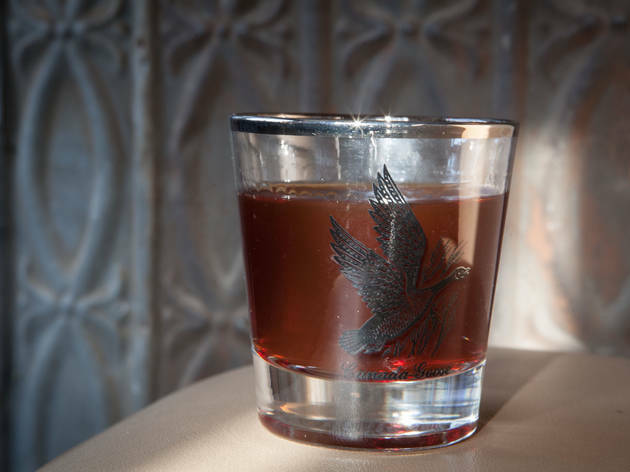 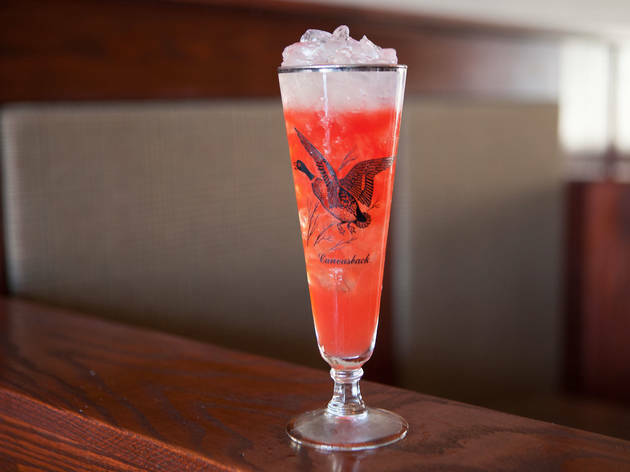 Photograph: Martha WilliamsThe Sportsman's Cocktail is made with amaro, tart cherry and absinthe at the Sportsman's Club. 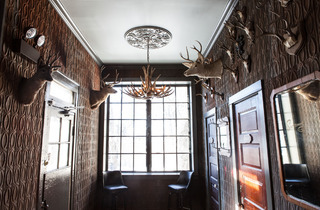 Photograph: Martha WilliamsSportsman's Club&nbsp;is now open in Humboldt Park. 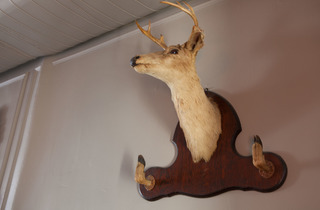 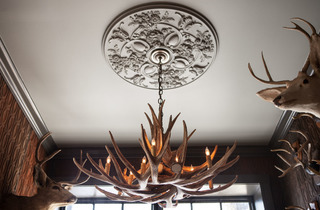 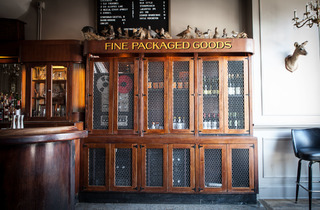 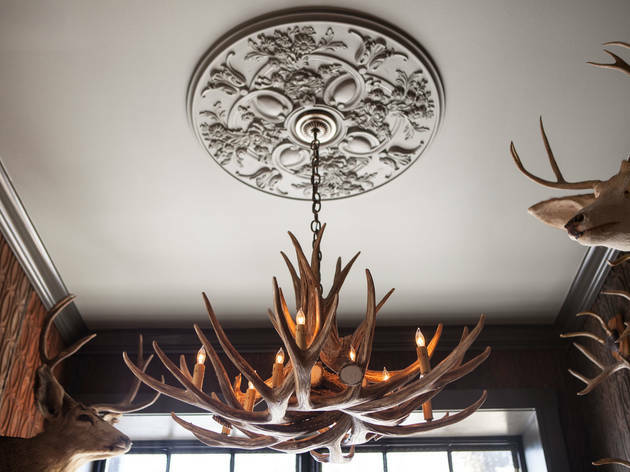 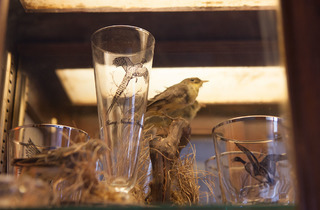 Photograph: Martha WilliamsSportsman's Club features taxidermy and stuffed animals throughout the space. 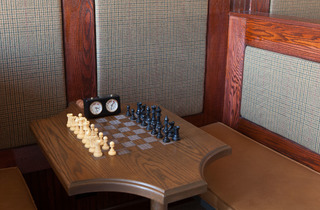 Photograph: Martha WilliamsSportsman's Club&nbsp;has chess boards built into the tables. 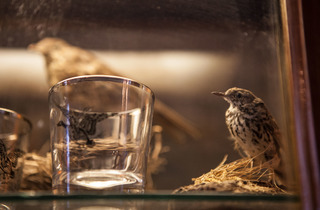 Photograph: Martha WilliamsA cocktail made with gin, Peychaud's and lime is on the menu at Sportsman's Club. 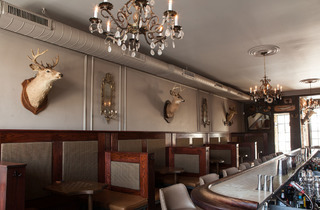 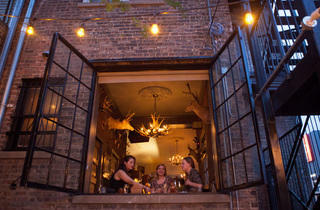 Photograph: Martha WilliamsSportsman's Club&nbsp;is a cocktail, beer and wine bar in Humboldt Park. 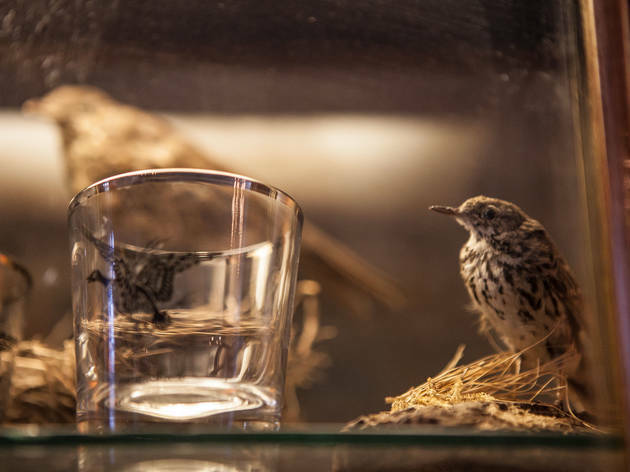 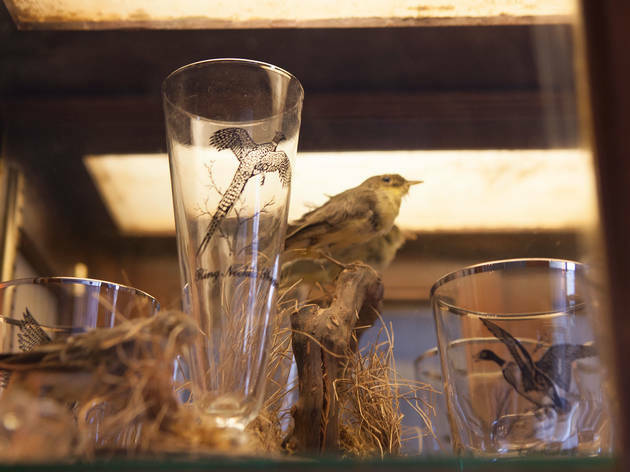 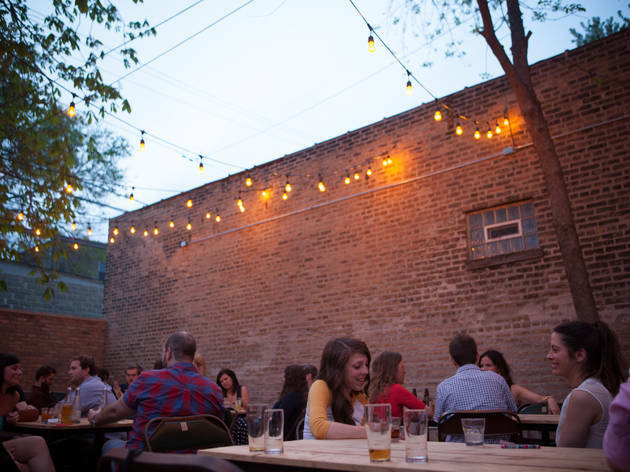 The neighborhood bar attracts a crowd from far beyond Humboldt Park borders, thanks to a funky, taxidermy-filled interior; large backyard patio with a summer bar and string lights; and cheap beer and shots. 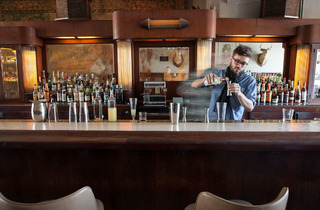 The lowlife—a shot of whiskey or a pull from the amaro machine (like the old Jäger machines) plus a High Life—is just $5, and is more consistent than the ever-rotating list of cocktails. 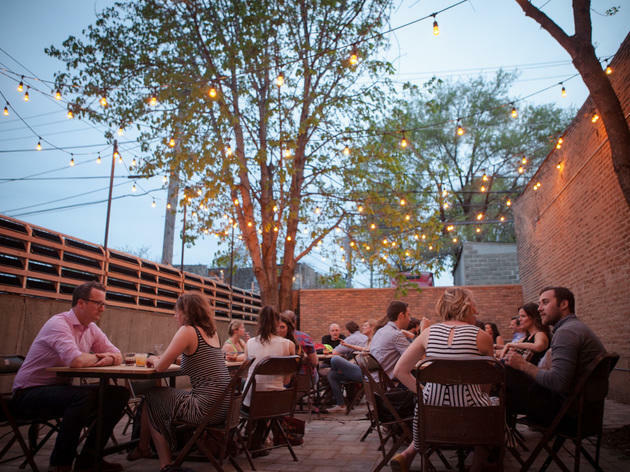 It's cash only, and you can also bring your own food in, though the Tamale Guy will also likely make an appearance for late-night snacking. 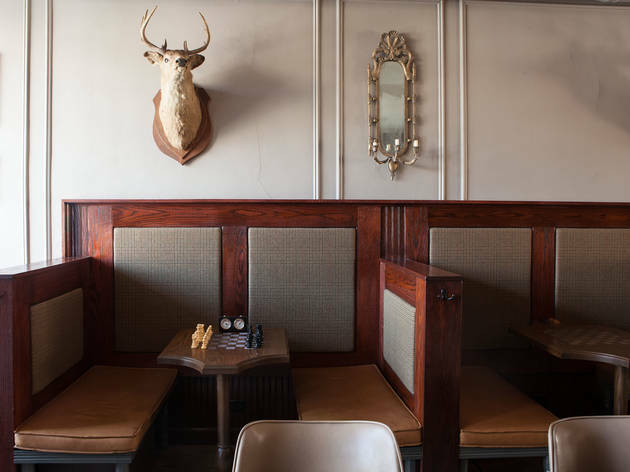 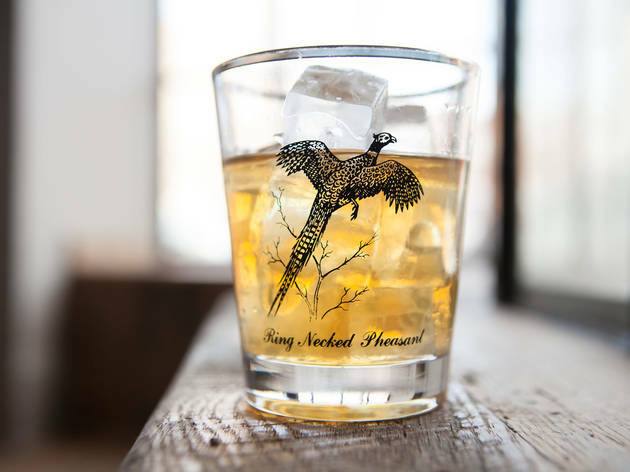 Doubling as a mixology joint and neighborhood bar is a difficult task, but Sportsman's Club pulls it off with relative ease. 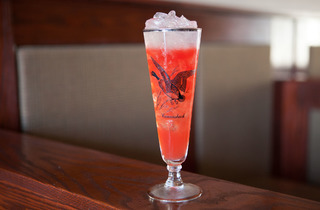 Tasty, original cocktails at affordable prices are constantly rotating, while the bar avoids pretentiousness for the most part. 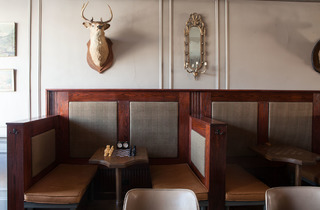 Of course they have cheap beer and a solid beer/shot combo, so it's fun to people watch and laugh at the absurdly-dressed hipsters, until they take over the place and you can't move. 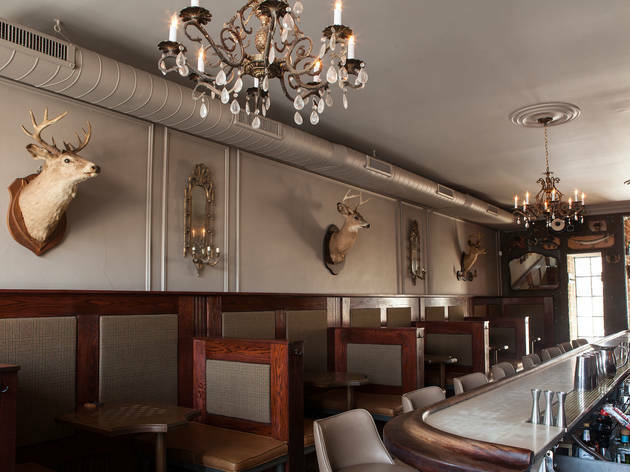 That being said, come early to snag a seat or table. 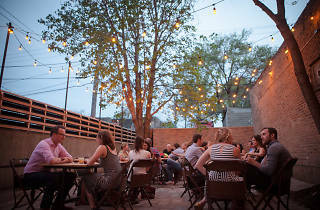 The beer garden is one of the city's hidden gems when open and the bartenders are friendly people, especially Wade, Jeff, & Greg. 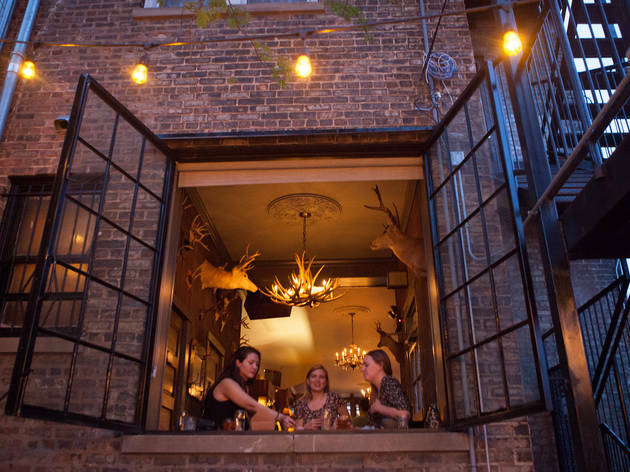 Well made, simple but always interesting drinks that change daily, a fun beer list, an amaro machine with housemade amaro that changes daily, a HUGE patio that does weekly bbqs during the summer, an all star cast of bartenders behind the bar, what more could you want? 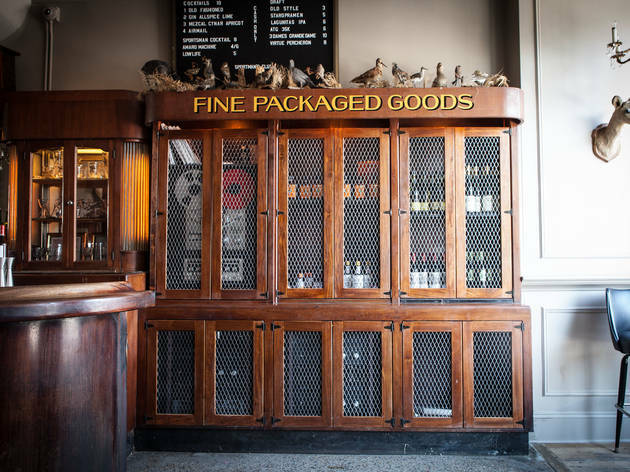 Oh yeah, they have all the PvWs and all the BTACs, so you can do a vertical and try all the stuff your liquor store is sold out of before they even come in. 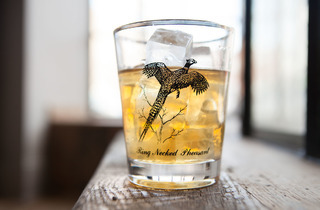 Just remember to try the best stuff first - by the time you get to pour 5 you start to get a little blurry. 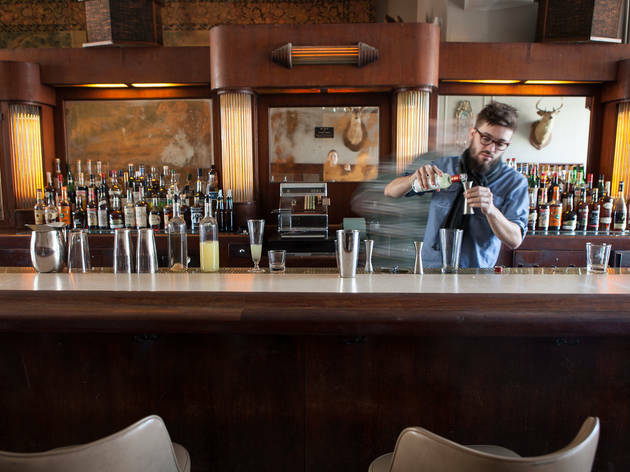 If you come here late enough, you may run into some of your favorite bartenders—Sportsman is a favored North Side industry post-shift hang. 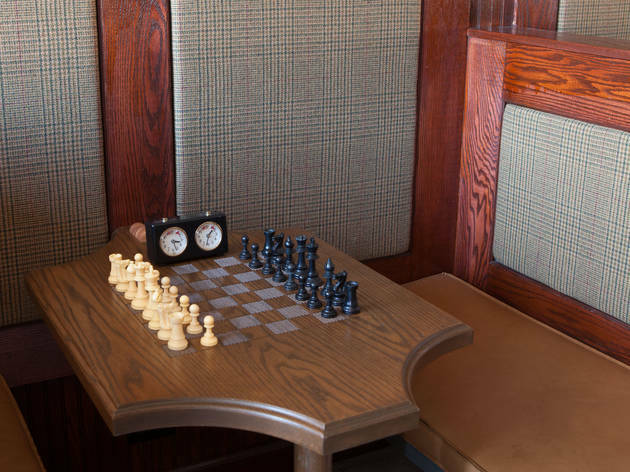 Show up during the day and you can down strong drinks on the picturesque patio or school your friends at checkers at the booths indoors.